The history of Ferrari records a number of wins, looses and the launch of new models of race cars. Explore the article to get interesting information on the history, background and origin of Ferrari. Ferrari SPA is one of the leading Italian sport car manufacturers, with its headquarters in Maranello, Italy. Established in 1928, as Scuderia Ferrari, the company was named after Enzo Ferrari, its founder. The company started its operation by sponsoring drivers and started manufacturing race cars later on. It began the production of street-legal vehicles in the year 1947 only. Today, Ferrari is one of the established names in Formula One racing. It continues to participate in a number of racing competitions. With its headquarters in Modena, Scuderia Ferrari was established by Enzo Ferrari to sponsor the amateur drivers. Until 1938, Ferrari sponsored many drivers to race in Alfa Romeo cars. In the same year, Enzo was offered the position of the head of the motor racing department by Alfa Romeo. In 1941, Fascist government of Benito Mussolini took over Alfa Romeo, because of the Axis Powers' war effort. Although Enzo's Scuderia was not affected by the confiscation, its contract for racing was prohibited for the next four years. Enzo converted Scuderia's operations, to machine tool and aircraft accessory making, and changed its name to Auto Avio Costruzioni Ferrari. It was also called SEFAC (Scuderia Enzo Ferrari Auto Corse). During the non-competition period, it manufactured a race car called 'Tipo 815'. The vehicle was, in fact, the first race car manufactured by Ferrari. However, it was not used for competitions, due to World War II. In 1943, Ferrari factory was shifted to Maranello. The following year, the Allies bombed it. After the end of the War i.e. in 1946, the factory was rebuilt. It was in the year 1946 only that Ferrari started the production of road cars. Its journey towards becoming one of the leading super car manufacturers of the world started in 1947, with the launch of Ferrari '125 Sport', a motorcar equipped with 1.5L V12 engine. The cars manufactured by Ferrari, during the period, were considered to be a status symbol. People purchased the cars, not for performance, but for the stature it offered. Though he disliked this, Enzo continued to serve his company and racing team thrpugh the following decades. In November 1961, the Sales Manager of Ferrari, Girolamo Gardini, had a dispute with Enzo's wife, Laura, for her involvement in the company. He even provided an ultimatum to Enzo that he would leave if the dispute was not solved. However, Enzo was least affected by his 'warning' and soon threw Gardini out of the company. The people who supported Gardini, including Manager Romolo Tavoni, Chief Engineer Carlo Chiti and Experimental Sports Car Development Chief Giotto Bizzarrini, were ousted from Scuderia Ferrari. The dismissal of employees proved to be a huge loss for Ferrari. As a reply to the dismissal, the expelled people formed a new company - ATS, together. Competing directly with Ferrari, both on the street and the track, ATS took away Scuderia Serenissima, one of the best racing customers of Ferrari. Although the period proved to be a difficult time for the company, it focused on developing a new 250-based model - 250 GTO - that equaled the prestigious Jaguar E-Type, its rival. However, the company didn't develop the chassis for 250 GTO, nor did it complete its styling. Ferrari 250 GTO was given an all-new look by engineer Mauro Forghieri and expert racing bodyman, Sergio Scaglietti. While the former sharpened its handling, the latter concentrated on designing a brand new body for the car. The refurbished car was brought to Sebring, with Phill Hill as its driver. Ferrari 250 GTO acquired the first position in 1962 racing competitions. Soon, it outshone its rival - Jaguar and came to be known as one of the most famous sports cars in history. The 1960s proved to be a lucky period for Ferrari, thanks to the engineering talent of Forghieri and the continuous success of 250 GTO. Shelby Cobra, the V-8 powered car built by the American engineer Carroll Shelby, posed a challenge for the Ferrari, in the beginning of 1960s. American MNC Ford also tried to take over the company in the mid 1960s, but the deal fell through. Ferrari prototypes dominated the racing track in 1964 and 1965. However, the dominance came to an end in 1966, when Ford GT-40 Mark II defeated it at the 24 Hours of Le Mans, with a 1-2-3 finish. Ford registered consecutive wins in the following years as well. Ford won the racing competitions in 1967 with its Mark IV prototype. Ford GT-40 Mk 1 also acquired two successive wins, in 1968 and 1969, against the newly launched Porsche 917. After the big V-8 powered Ford performed at the 1967 Le Mans, the FIA banned prototypes over 3000cc. This decision affected the Ferrari 330P models as well. The ban, which was announced in late 1967, came into effect in 1968. 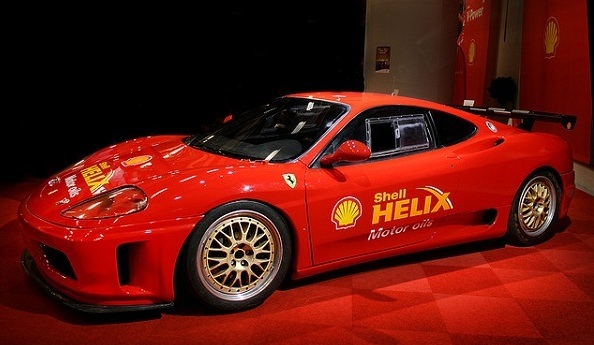 To protest against the decision, the Scuderia did not participated in Sports car racing. In 1969, Fiat purchased controlling interests in Ferrari. The period between 1969 and 1971 saw the rise of a new challenger. The German car manufacturer Porsche entered the new 3L sports car prototype class in 1968, with the launch of its brand new car - 908. Meanwhile, Ferrari launched its 312P in the race track (1969). The launch of 5L Porsche 917 in March 1969 astonished Ferrari. In order to challenge the car, Ferrari unveiled the production of 25 units of its brand new 512S. During the period, Porsche registered a win in the World Sportscar Championship, in which Ferrari managed to finish 4th. Ferrari and Porsche faced a head-to-head competition in 1970. During that time, Porsche continued to win all the races, except the 12 Hours of Sebring, in which it had to face defeat. For the next season, in 1972, Ferrari launched its 312PB. However, after the rule changed (only 3L class automobiles were now allowed to compete), Porsche stopped competing. Now, the old rival Alfa Romeo entered the scene. However, the Ferrari 312PB models ruled the World Sportscar Championship in 1972. The death of Enzo, in the year 1988, was a turning point in the history of Ferrari. After his demise, the value of used cars suddenly began to rise. The sales of current models also increased. Ferrari hired Michael Schumacher and other members from Benetton, to mark the comeback of the F1 team. The team won three times in 1996. However, it lost challenges to the driver's championship from 1997 to 1999. Schumacher and Ferrari dominated the F1 racing from 2000 to 2004, by winning the World Driver's championship consecutively. Ferrari also won the Constructors' Championship from 1999 through 2004. Today, Ferrari is regarded as one of the best sports car makers in the world.